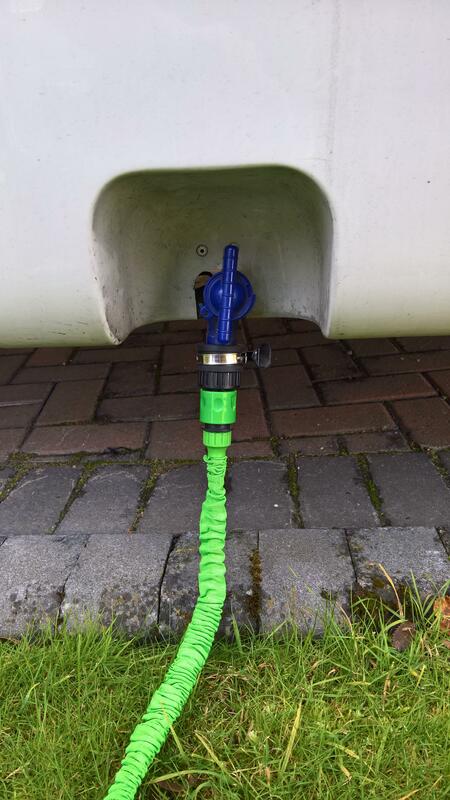 If you have a Whale or Truma type filler on your van and for any reason it goes faulty then without a filler cap into the tank can make it tricky to fill the fresh water tank. If like mine you have a drain tap then there is a solution with the use of a hose tap adapter you can fill the tank through this. When the tank is full it comes out the overflow so you know when to cut the supply – check you have an overflow that discharges under the van. In fact this is quite a convenient way to fill the tank when filling at home prior for your travels. Previous MODS – Light switch mod.